We caught up with Frank and Vera of Frank About Croatia to get the local scoop on Zagreb’s best cafes, markets, galleries and the coolest places to loiter on any given day. 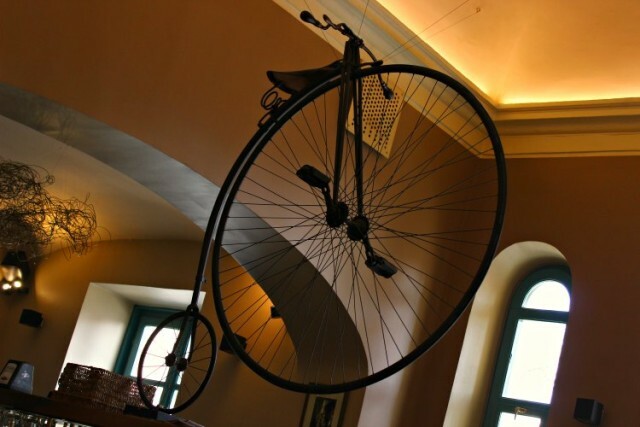 Located in the heart of Zagreb’s historical Upper town, the Museum of Broken Relationships is really one of a kind, and a must-visit museum in Croatia. It displays items of the failed relationships. Each item features a short story. 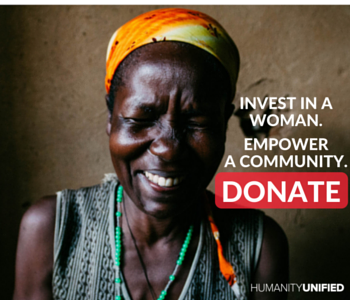 Some stories are funny, others are heartbreaking — all items here are donated by ordinary people. The museum also features also a small cafe with an excellent selection of teas, and homemade cookies. Visit Zagreb’s open-air farmers markets. Since 1850, when the first open-air farmers’ market in Zagreb was opened near the Cathedral, markets continue to play a central role in a life of its people. Today Zagreb has over 20 farmers markets. In fact, every neighborhood has its market, and each is still considered a belly of the neighborhood. The most popular among them is the central market Dolac, located just behind the main square. Kvatric market is smaller, but more intimate than Dolac, while Britanac is popular for hosting an antique market on Sunday. A visit to any of these markets is an excellent way to feel the pulse of the city and to witness what everyday life in Zagreb looks like. 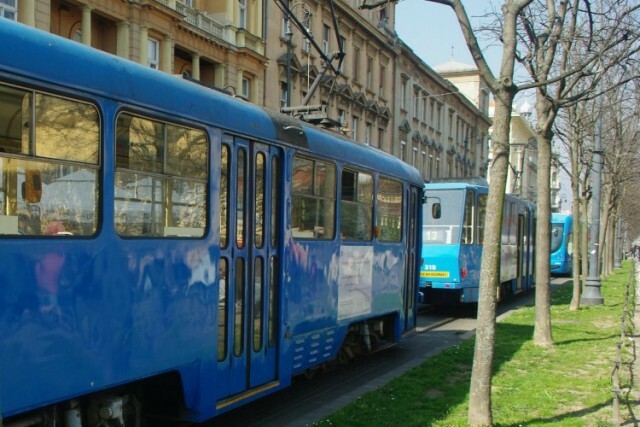 In operation since 1910, Zagreb’s blue electrical tram is a historical symbol of the town, and the best witness of Zagreb’s past and present. Generations of Zagreb residents grew up riding Zagreb trams that circle the city day and night. Yes, they are often full, almost always late, but the life in Zagreb without its blue trams wouldn’t be the same. Price for a single ride costs 12 Kn if purchased at the kiosk, or 15 Kn if purchased in a tram. The single night ride is 15 Kn or 20 Kn respectively. Daily tickets cost 40 Kn, while a three-day ticket sells for 100 Kn. I usually stay at the town’s landmark hotel – Esplanade Hotel. Since its opening in 1925, this historical luxury property has always been a center of Zagreb’s social life. I love their spacious rooms, friendly staff, old world charm, and cookies at night. Another hotel I gladly recommend is the (quirky) modern Hotel 9. Located just across the central bus station, the location is not really attractive, but it’s practical, and the hotel is superbly designed with large rooms, comfy beds, and a fantastic bathroom. An unpretentious downtown bistro tucked away in a courtyard just a five-minute walk from Zagreb’s main square, the Mali Bar serves tapas-style creative dishes. Run by Croatian celebrity chef Ana Ugarković, the philosophy is simple here: up to 20 creative dishes based on fresh local produce. The menu changes seasonally. The portions are rather small, and the prices are quite high, but the food is sublime. House wine is of an excellent quality and very affordable, atmosphere is cozy, and staff is very friendly. Mali Bar also has a lovely summer terrace. The last time I dined there, I sampled four different dishes: the tempura vegetables (delicious, especially a sage in tempura), smoked tuna with saffron sauce, shrimp polpette, caponata (an awesome eggplant dish originating from Sicily), and two desserts. The name sounds weird at first, but before you jump to conclusions, let me explain. The abbreviation in Croatian stands for – prostor manufakturne slobode (it translates to something like Space for freedom of manufacture). PMS is a place in Zagreb where contemporary art, fashion and design aficionados hang out regularly. This place is a perfect blend between a showroom and a commercial store promoting independent Croatian designers and artists. It features handmade clothes, accessories, handbags, souvenirs, and alike. Take Me Home, a small shop near the funicular sells a wide range of products made by Croatian designers: from toys and kitchenware to accessories and souvenirs. Iggy. is a concept store with a simple premise: Croatian design at affordable prices. Iggy is a relaxed place visited by many of regardless whether they plan on buying something, or they just want to simply enjoy Iggy’s creative space and atmosphere. The store sells a little bit of everything: from clothes, accessories, to jewelry and even furniture. Here, Zagreb delivers like no other capital city. 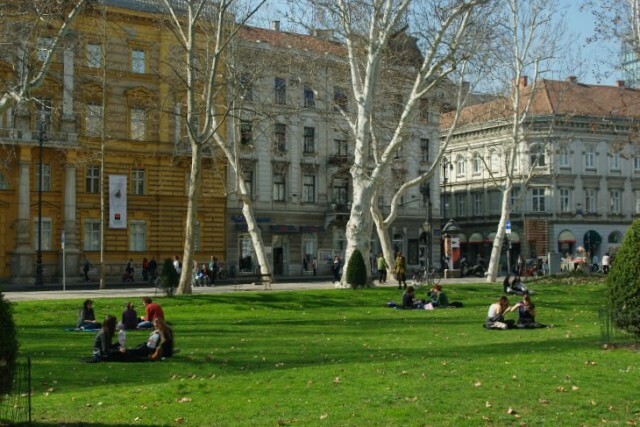 From well-landscaped downtown parks, forests, lakes, and hills, Zagreb abounds in green landscapes. Downtown parks connect seven town squares and a botanical garden in a shape of a horseshoe. This urban complex, called Lenucijeva potkova (Lenuci’s horseshoes), was built in the 19th century. When I have more time, I like to head to the mountain Medvednica. This is by far the best place in Zagreb to recharge your batteries and de-stress. The best part of this mountain is its proximity to the town – you can take a tram (no. 14 from the main square) to reach the foot of the mountain, and then hike up to the Sljeme, the highest peak of the Medvednica Mountain. Take one of many marked hiking trails to the top, enjoy the nature, fresh air, and have a nice hearty lunch at the Puntijarka, a self-service eatery. 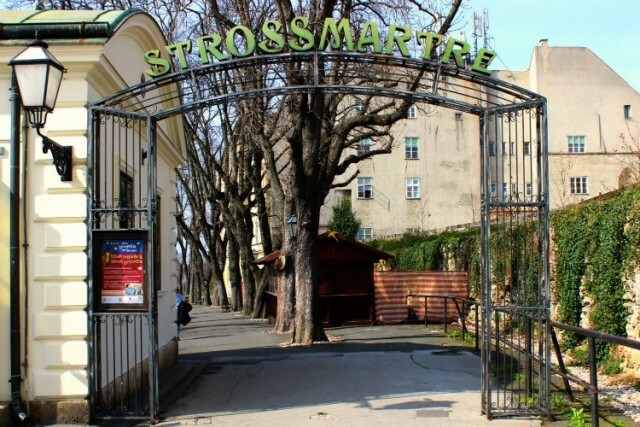 Summer on Stross, known also as a Strossmartre, is a lovely series of events taking place in Zagreb’s Upper town, on Strossmayer Promenade, every year from late May to early September. 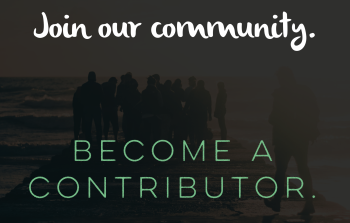 Program includes live concerts, from jazz, Latin rhythms to evergreen music of the 50’s and 60’s; art workshops, puppet theater, art exhibitions, and other fun activities and contests. If in Zagreb during this time, make sure you stop by the Strossmayer promenade and join locals in their daily creative summer celebrations. C’est is the best. The oldest street festival in Croatia, C’est is the best takes place every year in early June. The entire downtown turns into an open-air theater with live concerts, interesting workshops (like Chinese language workshop, calligraphy, hula-hoop, joggling, paper hats workshops and alike), face-painters and street performers. Other popular activities include: surprise piano performances all over the downtown; joyful sign language classes; and the center for mood repairs where you can easily get your mood fixed. Chatting with friends over a cup of coffee! 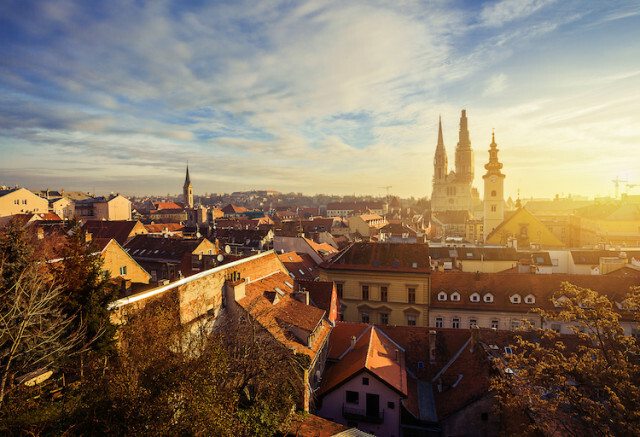 Zagreb is a town of coffee shops, bars, and busy outdoor terraces. Locals simply love unwinding over a cup of coffee. Zagreb’s cafes are always busy and one can wrongly assume that nobody works here, when in fact this is exactly what people do. Even business meetings take place right here, at any of these lovely cafes. Jutro (Morning) is my favorite cafe in downtown Zagreb. Tucked away in a courtyard, just off Teslina Street, this lovely cafe serves excellent coffee, a good selection of teas, freshly squeezed juices, cakes, and a dose of art. Beautifully decorated interior serves also as an art gallery. Handmade souvenirs are also on sale here. The Vatroslav Lisinski concert hall is Zagreb’s main concert venue, and a home of the Zagreb Philharmonic Orchestra. The program includes symphonic orchestra, ensembles, choirs, and opera, as well as live concerts of popular jazz, pop, and contemporary soloists and bands like Nick Cave, Sting, the Platters, and many more. From April to September, Zagreb hosts many open-air concerts and festivals. The Tvornica Kulture (The Culture factory) is perhaps the most popular local club hosting various live concerts and performances throughout the year. Contemporary art can be found at the Museum of Contemporary Art. The museum opened in 2009, and it’s located in the newer part of the town, across the river Sava. A permanent exhibition has over 600 art works on display. And my favorite is Carsten Höller’s Double slide. Yes, you can slide down from the first floor! Zagreb Upper town is home to many museums and galleries. Located in a family house, where Ivan Meštović, Croatian greatest sculptor, lived for twenty years, the Meštović studio is a must-visit place for art aficionados. The studio houses over 300 art pieces, as well as some personal photos and documents. Where the locals get tipsy: You can’t go wrong at Tkalciceva Street. This entire street is lined with bars. Basement is a favorite wine bar among locals located on Tomiceva Street, right next to the cable car that takes you to Upper town. Locals love it for a great selection of Croatian wine, served by the glass (over 60 wines), relaxed atmosphere, and a pretty interior with exposed brick walls and vaulted ceilings. Skip breakfast at your hotel and head instead to the Dolac market for a morning cup of joy and pancakes at the Tava Kava. After breakfast, enjoy a stroll through one of the city’s markets. It’s a shame that you are here only for a day, so you’ll need to leave bargaining over fresh produce for another time. Now it’s the time to hit Zagreb’s Upper town. This is the oldest part of Zagreb and my favorite part of the town. It’s home to many museums: Croatian Natural History Museum, Museum of Broken Relationships, and Croatian Museum of Naive Art, as well as many art galleries, like Mestrovic Studio and Klovicevi Dvori. Make sure to visit some of them. Climb up the Lotrscak tower for some great views over the town. Don’t forget to have a drink at Palinovka or Gallery Lav Cafe before heading back downtown. From there follow Lenuci’s horseshoe, a wonderful urban complex of parks connecting seven squares. Pass botanical garden and the hotel Esplanade, a little architectural gem built in 1925 and located next to the central train station. On your way back to the main square, explore wonderful Tomislav Park and the Art Pavillion down to Zrinjevac Park. By now it’s time to have a lunch. Zagreb has lots of bistro-style restaurants serving affordable lunch menus (called gablec). We love Lari i Penati, Pauza and Šalša, the last one being a bit further out. The afternoon can be a bit quiet in town, and could be a good moment to explore something different. Take bus no. 106 near the Cathedral and visit Mirogoj, the last resting place for people of Zagreb; it’s also a place full of history, beautiful architecture and art. The cemetery is a work of Herman Bollé, a 19th century Austrian architect. When he started designing Mirogoj, he aimed at recreating Zagreb’s downtown. Gorgeous arcades and pavilions surround Mirogoj. The cemetery also features interesting sculptures, and mosaics by great Croatian artists like Ivan Mestrovic, Antun Augustincic, Dusan Damonja and Edo Murtic. You can easily spend a couple of hours here, enjoying the peace and quiet and recharging your batteries before hitting the town again. Back to the main square, it’s time to walk the Tkalciceva Street. This is Zagreb’s main hub for a pre- or post-dinner drink. Historical houses line the street on both sides, and almost each of them houses a bar, a restaurant, a shop or a gallery. By now, you’ve figured out that bars are an integral and important part of Zagreb lifestyle. You don’t get surprised any longer when you see terraces full of people. You simply join the fun and order another coffee, glass of wine, or a beer. Your day was enjoyable, but somewhat hectic, that’s why you’ll go for a dinner to the restaurant 5/4, located close to Mestrovic Pavilion. Here you’ll indulge in a multi-course dinner for couple of hours, pairing each course with a glass of fine Croatian wine. Frank and Vera are a Canadian-Croatian couple living in Croatia. 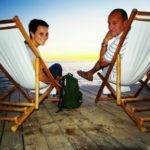 Passionate about Croatia and its people, they started the Frank About Croatia, a comprehensive Croatia Travel Guide and Blog. At their website they share the best of Croatia just as they discover it. When they don’t blog about Croatia, they travel and eat their way through Croatia.